ELK stack to beautifully visualize all the events captured by T-Pot. Elasticsearch Head a web front end for browsing and interacting with an Elastic Search cluster. Netdata for real-time performance monitoring. Portainer a web based UI for docker. Spiderfoot a open source intelligence automation tool. Suricata a Network Security Monitoring engine. Wetty a web based SSH client. Meet the system requirements. The T-Pot installation needs at least 4 GB RAM and 64 GB free disk space as well as a working internet connection. 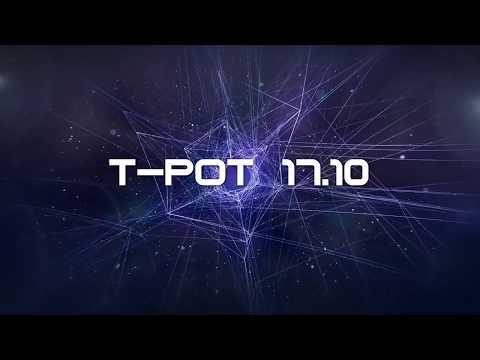 Download the T-Pot ISO from GitHub or create it yourself. Install the system in a VM or on physical hardware with internet access. Enjoy your favorite beverage - watch and analyze. All docker images have been rebuilt as micro containers based on Alpine Linux to even further reduce the image size and leading to image sizes (compressed) below the 50 MB mark. The uncompressed size of eMobility and the ELK stack could each be reduced by a whopping 600 MB! T-Pot containers are now being controlled and monitored through docker-compose and a single configuration file /opt/tpot/etc/tpot.yml allowing for greater flexibility and resulting in easier image management (i.e. updated images). As a benefit only a single systemd script /etc/systemd/system/tpot.service is needed to start systemctl start tpot and stop systemctl stop tpot the T-Pot services. There are four pre-configured compose configurations which do reflect the T-Pot editions /opt/tpot/etc/compose. Simply stop the T-Pot services and copy i.e. cp /opt/tpot/etc/compose/all.yml /opt/tpot/etc/tpot.yml, restart the T-Pot services and the selcted edition will be running after downloading the required docker images. Introducing Spiderfoot a open source intelligence automation tool. Our very own Listbot builds translation maps for Logstash. If Logstash registers a match the events’ CVE ID will be stored alongside the event within Elasticsearch. All honeypots were updated to their latest & stable versions. Persistence is now enabled by default and will keep honeypot logs and tools data in /data/ and its sub-folders by default for 30 days. You may change that behavior in /opt/tpot/etc/logrotate/logrotate.conf. ELK data however will be kept for 90 days by default. You may change that behavior in /opt/tpot/etc/curator/actions.yml. Scripts will be triggered through /etc/crontab. ELK was updated to the latest Kibana 5.6.3, Elasticsearch 5.6.3 and Logstash 5.6.3 releases. Suricata was updated to the latest 4.0.0 version including the latest Emerging Threats community ruleset. We now have 160+ Visualizations pre-configured and compiled to 14 individual Kibana Dashboards for every honeypot. Monitor all honeypot events locally on your T-Pot installation. Aside from honeypot events you can also view Suricata NSM, Syslog and NGINX events for a quick overview of local host events. More Smart links are now included. For the ones who like to live on the bleeding edge of T-Pot development there is now a update script available in /opt/tpot/update.sh. Just run the script and it will get the latest changes from the master branch. For now this feature is experimental and the first step to a true rolling release cycle. While the /data folder is still in its old place, all T-Pot relevant files and folders have been restructured and will now be installed into /opt/tpot. Only a few system relevant files with regard to the installed OS and its services will be copied to locations outside the T-Pot base path. T-Pot is based on the network installer of Ubuntu Server 16.04.x LTS. The honeypot daemons as well as other support components being used have been containerized using docker. This allows us to run multiple honeypot daemons on the same network interface while maintaining a small footprint and constrain each honeypot within its own environment. In T-Pot we combine the dockerized honeypots conpot, cowrie, dionaea, elasticpot, emobility, glastopf, honeytrap, mailoney, rdpy and vnclowpot with ELK stack to beautifully visualize all the events captured by T-Pot, Elasticsearch Head a web front end for browsing and interacting with an Elastic Search cluster, Netdata for real-time performance monitoring, Portainer a web based UI for docker, Spiderfoot a open source intelligence automation tool, Suricata a Network Security Monitoring engine and Wetty a web based SSH client. While data within docker containers is volatile we do now ensure a default 30 day persistence of all relevant honeypot and tool data in the well known /data folder and sub-folders. The persistence configuration may be adjusted in /opt/tpot/etc/logrotate/logrotate.conf. Once a docker container crashes, all other data produced within its environment is erased and a fresh instance is started from the corresponding docker image. Within the T-Pot project, we provide all the tools and documentation necessary to build your own honeypot system and contribute to our community data view, a separate channel on our Sicherheitstacho that is powered by T-Pot community data. The source code and configuration files are stored in individual GitHub repositories, which are linked below. The docker images are pre-configured for the T-Pot environment. If you want to run the docker images separately, make sure you study the docker-compose configuration (/opt/tpot/etc/tpot.yml) and the T-Pot systemd script (/etc/systemd/system/tpot.service), as they provide a good starting point for implementing changes. The installation of T-Pot is straight forward and heavily depends on a working, transparent and non-proxied up and running internet connection. Otherwise the installation will fail! Firstly, decide if you want to download our prebuilt installation ISO image from GitHub or create it yourself. Secondly, decide where you want to let the system run: real hardware or in a virtual machine? We provide an installation ISO image for download (~50MB), which is created using the same tool you can use yourself in order to create your own image. It will basically just save you some time downloading components and creating the ISO image. You can download the prebuilt installation image from GitHub and jump to the installation section. For transparency reasons and to give you the ability to customize your install, we provide you the ISO Creator that enables you to create your own ISO installation image. Clone the repository and enter it. Invoke the script that builds the ISO image. The script will download and install dependencies necessary to build the image on the invoking machine. It will further download the ubuntu network installer image (~50MB) which T-Pot is based on. After a successful build, you will find the ISO image tpot.iso along with a SHA256 checksum tpot.sha256 in your directory. You may want to run T-Pot in a virtualized environment. The virtual system configuration depends on your virtualization provider. We successfully tested T-Pot with VirtualBox and VMWare with just little modifications to the default machine configurations. It is important to make sure you meet the system requirements and assign a virtual harddisk >=64 GB, >=4 GB RAM and bridged networking to T-Pot. You need to enable promiscuous mode for the network interface for suricata and p0f to work properly. Make sure you enable it during configuration. If you want to use a wifi card as primary NIC for T-Pot, please be aware of the fact that not all network interface drivers support all wireless cards. E.g. in VirtualBox, you then have to choose the “MT SERVER” model of the NIC. Lastly, mount the tpot.iso ISO to the VM and continue with the installation. You can now jump here. Burn a CD from the ISO image or make a bootable USB stick using the image. Whereas most CD burning tools allow you to burn from ISO images, the procedure to create a bootable USB stick from an ISO image depends on your system. There are various Windows GUI tools available, e.g. this tip might help you. On Linux or MacOS you can use the tool dd or create the USB stick with T-Pot’s ISO Creator. Boot from the USB stick and install. Please note: We will ensure the compatibility with the Intel NUC platform, as we really like the form factor, looks and build quality. The installation requires very little interaction, only a locale and keyboard setting has to be answered for the basic linux installation. The system will reboot and please maintain an active internet connection. The T-Pot installer will start and ask you for an installation type, password for the tsec user and credentials for a web user. Everything else will be configured automatically. All docker images and other componenents will be downloaded. Depending on your network connection and the chosen installation type, the installation may take some time. During our tests (50Mbit down, 10Mbit up), the installation is usually finished within a 30 minute timeframe. All honeypot services are preconfigured and are starting automatically. Make sure your system is reachable through the internet. Otherwise it will not capture any attacks, other than the ones from your internal network! We recommend you put it in an unfiltered zone, where all TCP and UDP traffic is forwarded to T-Pot’s network interface. Basically, you can forward as many TCP ports as you want, as honeytrap dynamically binds any TCP port that is not covered by the other honeypot daemons. In case you need external SSH access, forward TCP port 64295 to T-Pot, see below. In case you need external web access, forward TCP port 64297 to T-Pot, see below. T-Pot requires outgoing git, http, https connections for updates (Ubuntu, Docker, GitHub, PyPi) and attack submission (ewsposter, hpfeeds). Ports and availability may vary based on your geographical location. The system is designed to run without any interaction or maintenance and automatically contribute to the community. We know, for some this may not be enough. So here come some ways to further inspect the system and change configuration parameters. By default, the SSH daemon only allows access on tcp/64295 with a user / password combination from RFC1918 networks. However, if you want to be able to login remotely via SSH you need to put your SSH keys on the host as described below. It is configured to prevent password login from official IP addresses and pubkey-authentication must be used. Copy your SSH keyfile to /home/tsec/.ssh/authorized_keys and set the appropriate permissions (chmod 600 authorized_keys) as well as the correct ownership (chown tsec:tsec authorized_keys). and choose WebTTY from the navigation bar. You will be prompted to allow access for this connection and enter the password for the user tsec. and Kibana will automagically load. The Kibana dashboard can be customized to fit your needs. By default, we haven’t added any filtering, because the filters depend on your setup. E.g. you might want to filter out your incoming administrative ssh connections and connections to update servers. We included some web based management tools to improve and ease up on your daily tasks. As mentioned before, the system was designed to be low maintenance. Basically, there is nothing you have to do but let it run. If new versions of the components involved appear, we will test them and build new docker images. Those new docker images will be pushed to docker hub and downloaded to T-Pot and activated accordingly. Data is submitted in a structured ews-format, a XML stucture. Hence, you can parse out the information that is relevant to you. Some features may be provided with updated docker images, others may require some hands on from your side. You are always invited to participate in development on our GitHub page. We don’t have access to your system. So we cannot remote-assist when you break your configuration. But you can simply reinstall. The software was designed with best effort security, not to be in stealth mode. Because then, we probably would not be able to provide those kind of honeypot services. You install and you run within your responsibility. Choose your deployment wisely as a system compromise can never be ruled out. Honeypots should - by design - not host any sensitive data. Make sure you don’t add any. By default, your data is submitted to the community dashboard. You can disable this in the config. But hey, wouldn’t it be better to contribute to the community? Please report any issues or questions on our GitHub issue list, so the community can participate. We provide the software as is in a Community Edition format. T-Pot is designed to run out of the box and with zero maintenance involved. We hope you understand that we cannot provide support on an individual basis. We will try to address questions, bugs and problems on our GitHub issue list. For general feedback you can write to cert @ telekom.de. The software that T-Pot is built on uses the following licenses. … and of course you for joining the community! We will be releasing a new version of T-Pot about every 6-12 months.